Undoubtedly, Twitter retweets are especially intended to make Twitter experience a better and more engrossing experience for all users. At the very start, the purpose of RTs is to spread interesting, informative and worth-sharing information and content to everyone. Since social media is a great site where one can disseminate the latest news that people seriously need to know in a quick manner, fake news and other misleading information should not be considered and shared. These days, it is so sad that many users also use social media platforms to spread silly and useless posts and information. Of course, the tweets we read and share should be noteworthy and positive and should aim to help and to build and not to destroy. We use them to send and let people around the world what they need to know to make life better. The purpose should be to entertain, inform wisely and make everything in a positive vibe. What are real Twitter Retweets? When do you consider a post a real retweet? Keep in mind that an RT is only when a user copies another user’s tweet to his or her own updates on Twitter and at the same time mentioning the other user as the original creator of that post. It is crucial to note that if the original author of the tweet was not attributed, then this can’t be considered a retweet. What type of users who may tweet or RT your post? The followers you have on Twitter may RT the post or content you shared on your profile and the guests who visited your blog may also do the same and spread the post you shared to their own followers. This is how your content gets to other users. This is how the information and other things you wish to share spread further- this is the reason why the things you share with other should not be meant to mislead, deceive or give wrong information because causing damage to others is a big NO in the social media world. How to make Twitter users RT your content? If you wish to acquire countless of tweets, ensure to create contents or articles that are deserving of being connected with. Compose contents that are epic. To do so, you need to make certain that you provide helpful tips and tricks, share breaking news, your articles are packed with distinctive ideas or offer uncommon advice and the like. Make it easy to tweet your posts. People these days are lazy so see to it that your tweet button is noticeable so they could easily click it and share it to their followers. Even though your content is worth-sharing, if users find it hard to see your tweet button, then they might just skip it. Always tweet a quote that is worth-tweeting. Nothing beats real-life tweets. 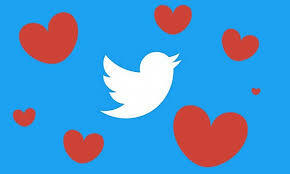 So, think of tweets that you think and feel can touch your followers’ heart. Once your users can relate to your post, they will surely share it to others. Are There Means to Tweet the Appropriate Manner? Twitter Retweet is one fabulous approach to make use of prevalent post to multiply your followers and expand your brand. 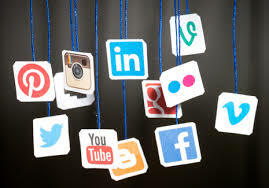 It is useful to be part of a social media platform that gives you the opportunity to obtain a message from other users which you think your prospects will find engrossing and captivating. How does this assist the user to branch out his or her brand or name? In reality, Twitter retweet isn’t enough. Users should keep in mind that prior retweeting, consider editing or quoting the original post or content properly. Alternatively, users may utilize the RT abbreviation to indicate that he or she is actually making an RT of a quote of the original post or content. It will indicate RT; however, this is something that comes from you and it must come with the name of the original author. Essentially, it is possible for a user to credit the name of the original author of the tweet through merely leaving their name in the post; be that as it may, for you to boost your followers, it is highly advised to first quote the post instead of simply hitting RT, and your name shows as well. What suitable posts or contents to consider for Twitter Retweets? Figure out the number of your tweets that revolve around business and the number of tweets that are about engrossing items which may capture the attention of your audience. Trivia, company events and activities, quotes, jokes, community projects and the like are just some of the instances of useful contents that could result to building your brand in a tremendous way. Some users suggests that a small percentage of posts are about services or products but some prefer half-half percentage of what you should tweet, as these may differ relying on your followers and the field you’re into. A few industries share breaking news- note that this may hinge on how you demonstrate your material. Indeed, it may also be probable to discuss business without directly talking about it. For instance, a fashion designer may provide tips, quotes or phrases that have something to do with fashion designing without directly talking about fashion designing services or business offered. Are you well-aware that among the most valuable sources of contents or posts that are worthy of re-tweets are the ones who are experts in the industry? For instance, if you are in the field of medicine, health and fitness, you may have connections with journalists who authors health, medical or fitness topics. Probably, you are connected with someone who is at a pharmaceutical, health and fitness for, or a medical practitioner that could provide useful tips for a healthy lifestyle. Meanwhile, if you are in the field of technology advancements, then you will prefer to have connections with those who work in Apple, Google and other technological firms as well as technological magazines in order for you to obtain necessary information prior it is broadly spread elsewhere. As you can see, there are lots to retweet!